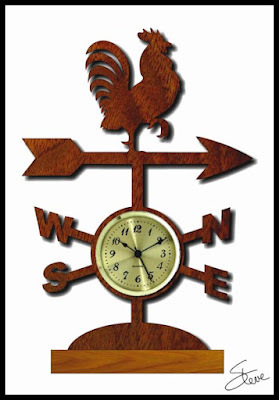 Country style rooster weather vane clock scroll saw pattern. The Bear Woods monthly $75 gift certificate giveaway is under way. This month all you have to do to enter is visit the site requested on the entry page. Could not be easier. You can also enter every day to increase your odds. 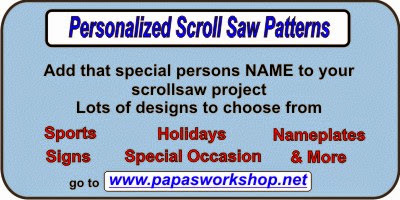 Just think free scroll saw blades that will last you through the winter. The more dedicated you are the better your chance to win. Go back every day and enter. 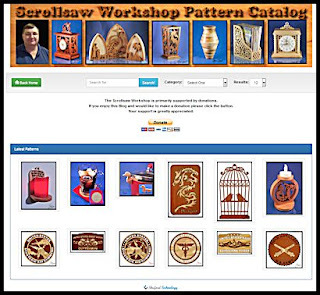 Click this link to visit the entry page. Quick update on the ongoing saga of my porch package pirate. The detective was able to identify the suspect from the license number I gave him. The car belonged to a girlfriend. The detective found her on Facebook and matched the suspects picture to the image in the video. From what I have learned the suspect has multiple arrest warrants. He is well known by the local authorities. Sounds like the typical story. Drugs and crime. The local TV stations gave the suspects name and mugshot on the news. They are asking for information on his whereabouts. One of the TV stations did a follow up interview with me this afternoon. That aired on the 11pm news. As a human being I would like to see this young 24 year old man get his life turned around. He has a baby. Unfortunately with multiple felony warrants he is likely to spend some hard time in prison. Drugs ruin lives. Not only of the user but innocent people close to the user. He deserves to go to jail. His child does not deserve a parent so worthless. That makes me sad. This country style table clock is ten and a half inches tall. It requires a 2 3/4" clock insert with a 2 3/8" diameter mounting hole. 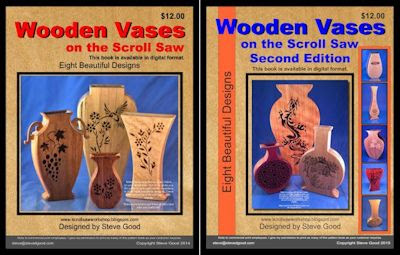 You can purchase one online from our sponsor Bear Woods at this link. 2 3/4 Inch Clock Insert. This project is cut entirely from 3/4" thick wood. 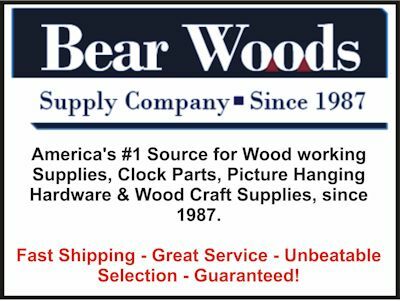 Bear Woods has worked hard to get shipping charges down for their U.S. customers. When you order make sure you look for the small package shipping option. I make a lot of clocks from 2 3/4" clock inserts. They make nice gifts. If you plan to make more than a few of these clock it's worth the investment to buy a 2 3/8" forstner bit. 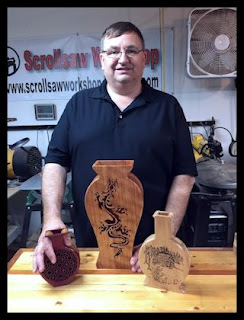 You can cut the insert hole with your scroll saw but the forstner bit is more accurate and muck quicker. 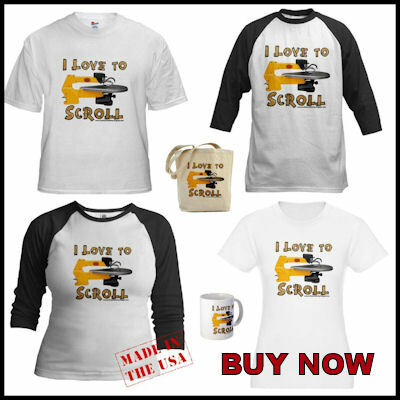 Click the image to buy one on Amazon. 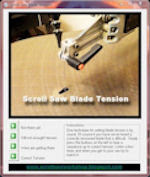 Check out the new Jet 22 inch scroll saw that everyone is talking about. 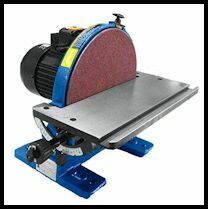 I have used this Rikon disk sander for a few years. 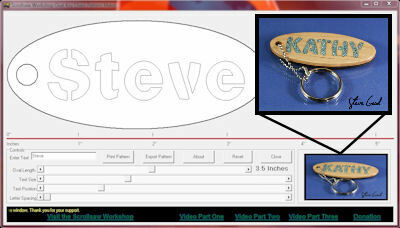 I use this all the time in my scroll saw shop. 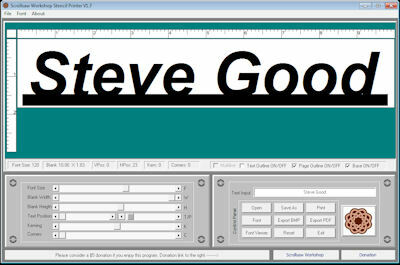 Nice tool. 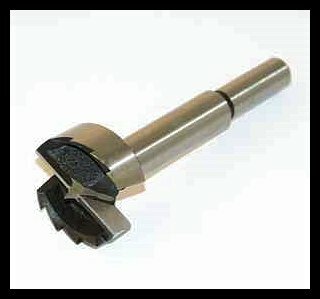 I have become a fan of Rikon tools. They are priced reasonably and perform well for me. No complaints from me about this sander or my Rikon band saw. Dust Collection: Disc is designed with fan fins to aid in drawing dust away from the work-piece for cleaner sanding operation.